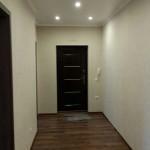 Construction of houses in Kaliningrad on a turn-key basis: we are profitable! One of the key areas of our company is the construction of houses. The construction company «Evroremont» — No. 1 in the segment of suburban housing construction in Kaliningrad and the Kaliningrad region since 2000. We undertake projects of any complexity. Our company employs a professional team, whose members have many years of experience, and all the necessary skills and abilities. The construction company «Evroremont» has unique and undeniable advantages, which say that before you are real experts in the field of suburban construction, with unlimited possibilities. Our advantages will save your precious time and minimize financial costs and all sorts of risks. Individual architectural design of cottages, design projects of facades and interiors of country houses, landscape design of plots. Works on the improvement of the suburban area: the installation of drainage system, paving paths, fences and fences, landscape works. We work on proven technologies and current standards, thereby ensuring not only the quality of construction of houses, but also install low prices on the constructed facilities. Each stage of work on the construction site is controlled by a professional foreman. With him, you can discuss the layout, design features of the facility, timing, cost and other issues related to the construction of the house. In the office of the company «Evroremont» managers will help you choose the optimal project that fully meets your desires and possibilities. If you are interested in building a house, you can get free consultations at the number 8 (4012) 76-07-97. Construction of houses in Kaliningrad and the region. 32 queries in 2,198 seconds.